Everyone has problem areas, tightness from a workout, or injuries to overcome. 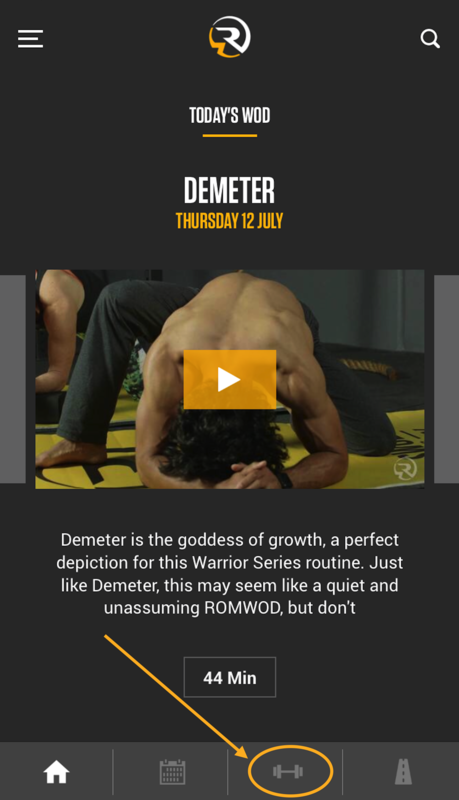 ROMWOD is intentionally designed to address and increase range of motion in your entire body so those areas will get attention. It is important to understand that range of motion is achieved over time, not in one or two stretches. It is in following the full program over time that you will see the best results. 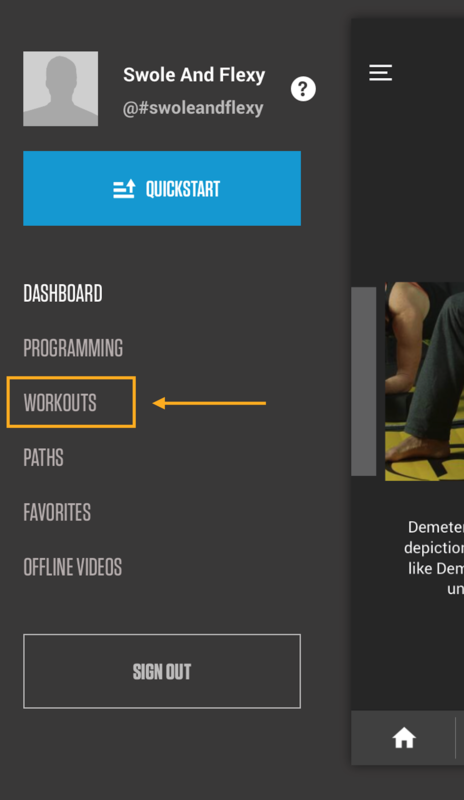 Option 1: Click on the barbell icon at the bottom of the home page. Option 2: Click on the three bar icon at the top left corner of the page. 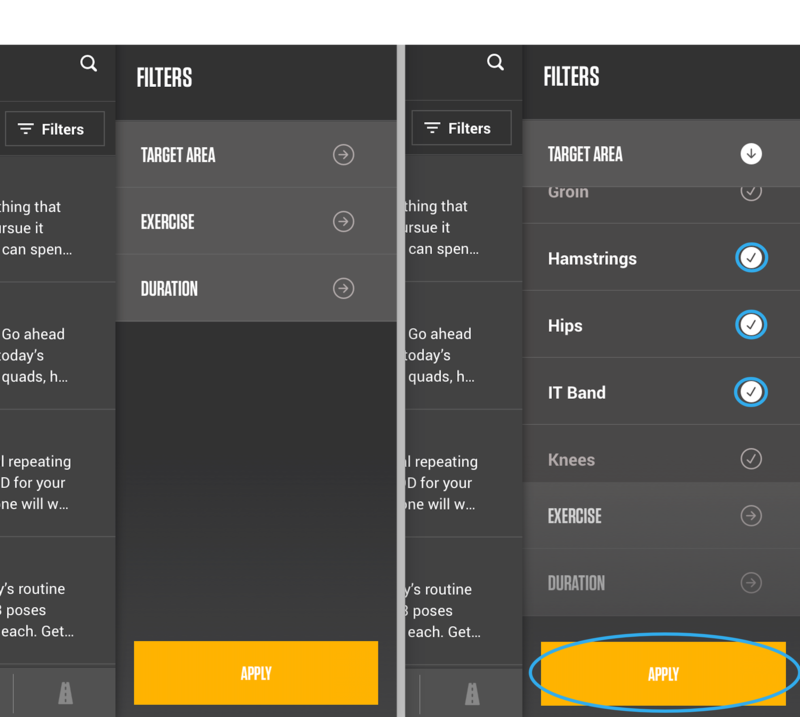 Then click on WORKOUTS.